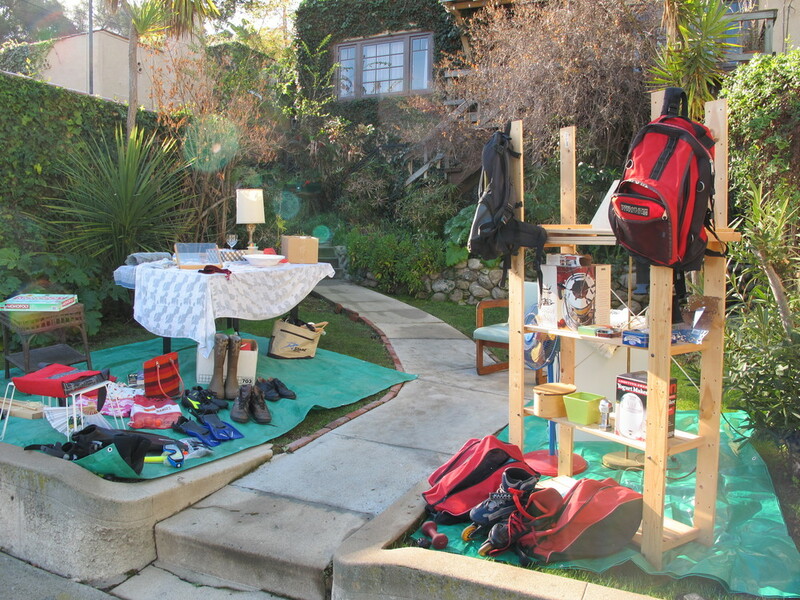 Second day of our garage sale. Almost everything is sold! Yesterday morning the professional vultures were already waiting in their cars in front of our house watching us carrying out our treasures. Watches, gold jewelry and computer parts were in demand – nothing we could provide. The vultures made room for the treasure hunters who were followed by the bargain hunters and eventually the late risers. iPhone apps where used to scan ISBN book barcodes to identify a bargain, a local photo student came by to take pictures for a school project and an older Mexican gentleman shopped for little gifts to bring home to family and friends. While a set of liquor glasses will pretty soon board a plane with the Mexican gentleman our radiator made it only into the cold basement of our neighbor.